SENNOTT PARK ARTS IN THE PARK SUMMER SERIES! Children can enjoy an hour of Arts & Crafts, followed by a Performance. Free for all residents and camps in the neighborhood from Pre-school up to 3rd grade. Performer: Marcie Joy. For more information: View the Arts in the Park Flyer. The Cambridge Arts Council is a city agency that funds, promotes, and presents high-quality, community-based arts programming for the benefit of artists, residents, and visitors to Cambridge, MA. Established in 1974, Cambridge Arts is one of the oldest and most dynamic arts agencies in the country. 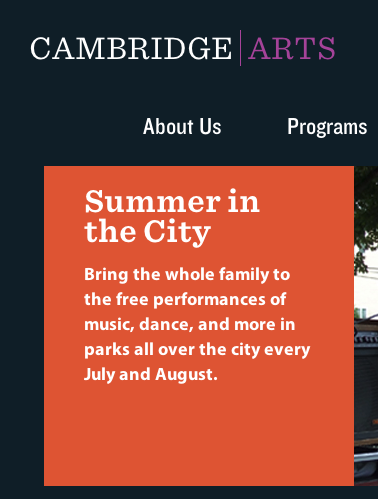 Categories: News, Performances & Donations | Tags: activity, arts in the park, boston, cambridge, children, city, concert, cultural council, free, free music, july, kid's music, kids, Kids Music by Marcie, massachusetts, music, national endowment, performance, sennott park, storytime, summer, summerarts, toddlers | Permalink.